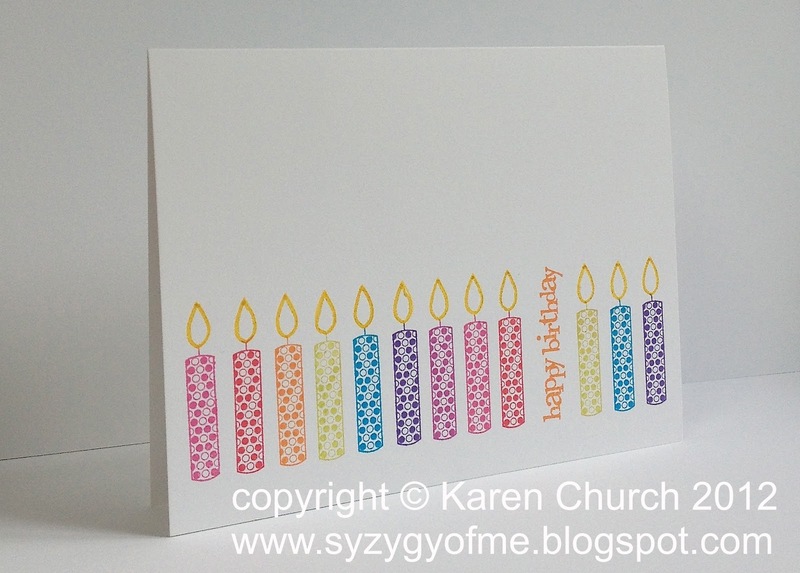 I'm here today with a colorful and fun birthday card. And thanks to a gridded block, it was a breeze to stamp. 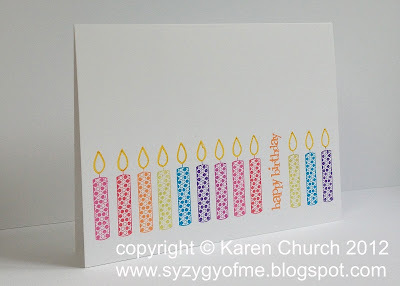 The row of candles is actually a single candle stamped multiple times. By positioning it on a clear gridded block, it was very easy to line up the image across the bottom. This technique is fairly easy with a clear stamp, but it is possible to do this with a rubber stamp like this one if you line the block up in the same position with the same distance between images every time. Happy birthday was strategically stamped in the sweet spot - about 1/3 of the way from the edge. The photo doesn't show it very well, but the flames were outlined with a Spica glitter pen, and they are sparkly IRL.